The Blue Dogs’ annual Homecoming Show and 30th Anniversary Celebration managed to raise over $50,000 to benefit pediatric cancer research at MUSC Children’s Hospital. The fundraiser was held at Charleston Music Hall on Saturday, December 29th. Founding Blue Dog Phillip Lammonds and Peter Holsapple, formerly of R.E.M., were among the notable special guests. Jupiter Coyote is headlining the next installment of Mex 1 Sessions on January 27th at Mex 1 on Sullivan’s Island. A limited number of tickets for sale, making this show an intimate experience to benefit Carolina Studios. Vote for djs natty heavy + rdot in Best Of awards! Radney Foster Returns to South Carolina! Join us for TWO special shows with Radney Foster. On January 23rd, he’ll be joined by Hootie & the Blowfish’s Mark Bryan at The White Mule in Columbia. On Thursday, January 24th, catch him at Dockery’s on Daniel Island, SC for a special Charleston show! You know them as Broadcast 90, but it’s new year, new name for this epic 90’s rock cover band. Join us at The Music Farm on Saturday, January 26th for Rock the 90’s USA! ROCK THE 90's USA, the OFFICIAL 90's ROCK TRIBUTE takes you back to the glory days of guitar driven rock - an eclectic buffet of all the best in 90's radio rock - performed exactly like the original recordings. One band, one mission...to spread the gospel of 90's rock-n-roll to the masses! It's a 90's throw down like no other you'll experience. Rock the '90s is not just a band, it's an experience. A well-rehearsed, high-energy show that travels the road of 90's rock on all levels, including the detours and back roads of an often forgotten decade that produced some of the best guitar-driven rock in music history. Formerly known as Broadcast 90: The Ultimate 90's Rock Tribute - the band was formed in late 2015 to pay homage to the last golden decade of guitar driven rock: the 1990s. The goal was to assemble an all-star supergroup of seasoned players to give the genre its proper due. Each member of Rock the 90's has clocked thousands of hours in both the studio and stage and have performed all over the United States, not to mention performing with some of the most iconic 90’s music artists including Sister Hazel, Drivin’ n Cryin’, Sugar Ray and many more. Rock the 90's USA performs throughout the nation. From Matchbox Twenty to the Stone Temple Pilots, It’s no holds barred, as Rock the '90s combines a heavy dose of 90's rock with an energetic, over the top, arena-style show that is guaranteed to keep you singing song after song, all night long! Every Friday, we post our weekend live music lineup. We’re proud to work with so many local businesses around Charleston and appreciate their commitment to live music! Make sure to follow us on Facebook & Instagram for the latest, and go support your live & local musicians! Rob’s been accepted as an official associate member of the Recording Academy’s Nashville chapter. We’re stoked for him! He joins an awesome community of music industry pros, and oh, also gets to go to the GRAMMYs! Stop Light Observations is back for a special hometown show, unplugged for Mex 1 Sessions! A limited number of tickets for sale, making this show an intimate experience to benefit Carolina Studios. Level 1 weekend passes are still at their lowest price. Get them now before they go up! 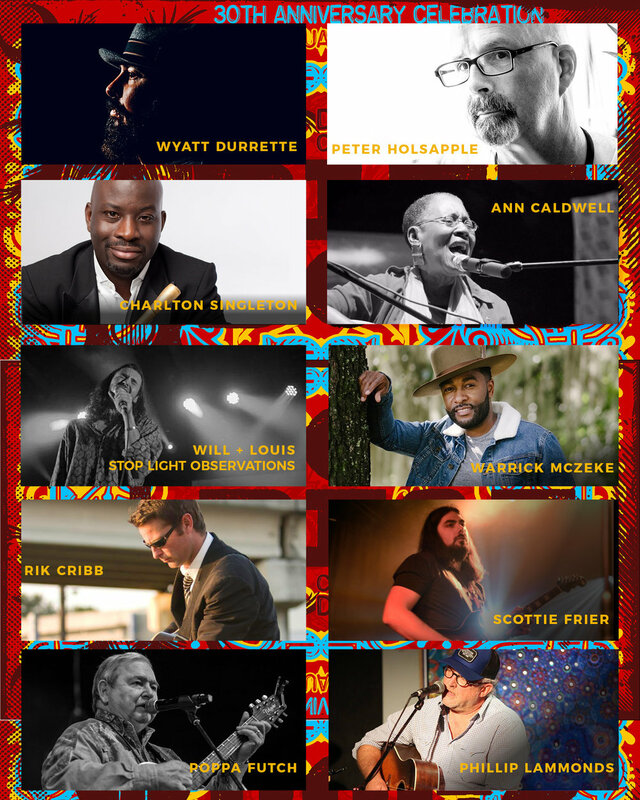 Trondossa Music & Arts Festival, a two day event at Riverfront Park in North Charleston, is back on April 27 & 28, 2019. Widespread Panic will be headlining with more details to be announced soon. We’re a short 12 weeks away from the Blue Dogs annual benefit show at the Charleston Music Hall. Join us on Saturday, December 29th for the 6th Annual Homecoming & 30th Reunion Show. Proceeds benefit pediatric cancer research at MUSC Shawn Jenkins Children’s Hospital. Keep up with the Blue Dogs as they add guests to the lineups and make announcements as we get closer to the show on their Facebook Page. Santa Claus’ Calendar is Filling Up Quickly! Christmas is right around the corner and we still have some dates available for you to book our very own Jolly Saint Nick! 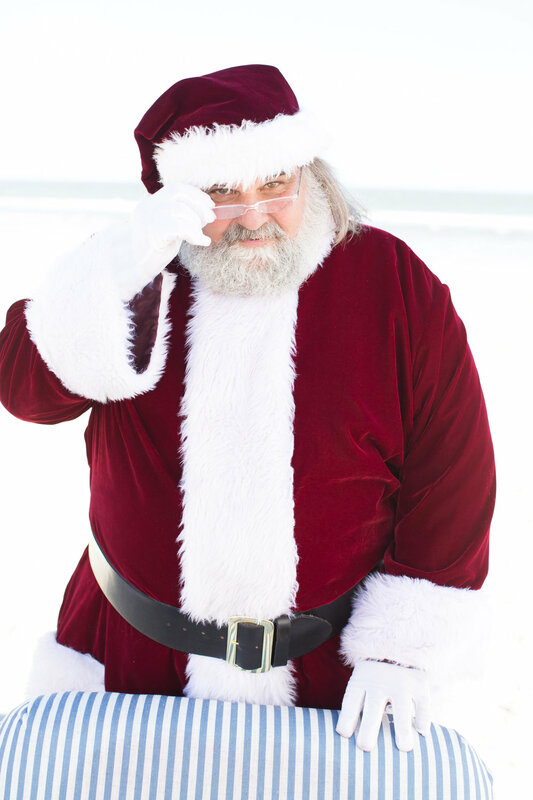 Santa, Kris Kringle, the big man from the North Pole, whatever you want to call him, is available for holiday parties, Santa brunches, parades, hotel lobby greetings, bar and club appearances, photo sessions and even house calls! Reach out to book today Santa@earformusic.com! The Greg Humphreys Electric Trio is returning to Charleston on Thursday, October 25th for a special show at The Commodore. Join us to hear their brand new record, HAYMAKER, a day before it’s released. Tickets are $10 at the door. 2018 ProAmJam was Another Show for the Books! Each year, NASCAR driver Denny Hamlin and Hootie & the Blowfish lead guitarist Mark Bryan partner with the CEO of Student Transportation Inc., Denis Gallagher, for the annual ProAmJam Celebrity Golf Tournament on Daniel Island. The night before the tournament, the Daniel Island Club hosts a VIP Party and Jam Concert, which we’re honored to be a part of. This year’s concert featured “In Color” singer Jamey Johnson (pictured), as well as Edwin McCain, Chris Kirkpatrick, Kevin Kinney, Tim Nielsen, Mark Bryan, Charlton Singleton, Patrick Davis, and Darius Rucker. Thanks for coming out to the Moon Taxi show at the Charleston Harbor Resort & Marina a few weeks ago. This show was epic and we’ll continue to bring y’all more of these kinds of shows in the future. 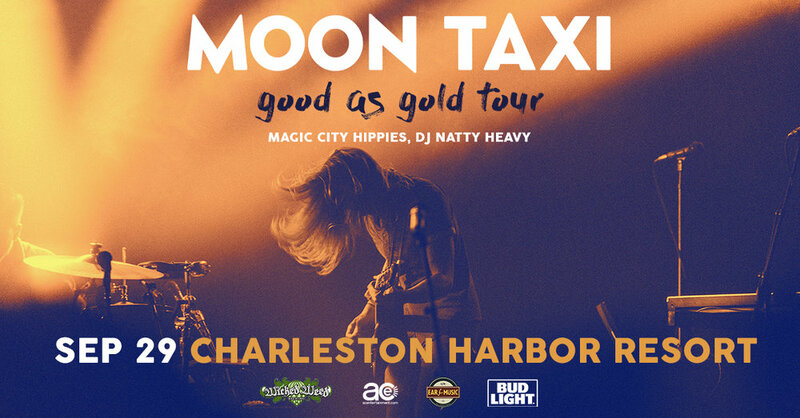 Thanks to AC Entertainment, Charleston Harbor Resort and Marina, Bud Light, Wicked Weed Brewing, DJ NattyHeavy, Ripe & Moon Taxi for making it happen. And thank YOU for coming out, y’all showed UP! Patrick’s “Patrick Davis & Midnight Choir” is an 11-piece band featuring horns & background singers created by PD in early 2016 from both his own artistic vision & the soundscapes of his songwriting & performing heroes Van Morrison, Lyle Lovett & Bruce Springsteen. Davis borrowed the name “Midnight Choir” from a line in one of his favorite Leonard Cohen songs “Bird On a Wire” & since his eleven-piece outfit starting playing dates Davis & “His Midnight Choir” have witnessed growing congregations across the Southeast. Patrick has released four well received full length albums, toured the US & Europe as both a headliner & support act for Darius Rucker, Jewel & others while also being employed as a staff writer for Warner Chappell Music Publishing & having over 50 songs recorded by artist like Jimmy Buffet, Lady Antebellum, Imelda May, Darius Rucker, Jewel, Robert Randolph, Guy Clark and many more. He comes into his own during shows with his Midnight Choir, and we’re looking forward to having him at the Charleston Music Hall on Thursday, October 25th. Get tickets before they’re gone! Charleston’s favorite DJ, DJ NattyHeavy was recently featured in a series by Kyle Stuckey Fine Art. This piece is part of a series called “50 Portraits of Charleston”, on display through the month at Principle Gallery Charleston. 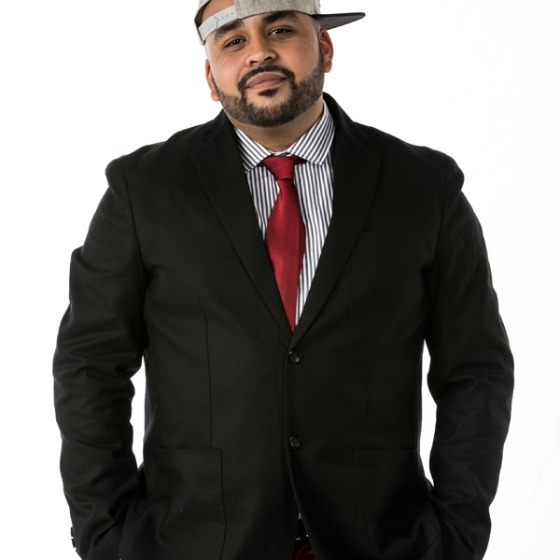 DJ Natty Heavy is available to provide entertainment at weddings, corporate functions and other special events. Book him below! We’re a few days late with posting this month’s Monthly Encore, not only because Hurricane Florence blew us a little off track last week, but also because Saturday, September 15th was Erika’s birthday! If you’re reading this, you’re likely very familiar with Erika and what she does for Ear for Music. 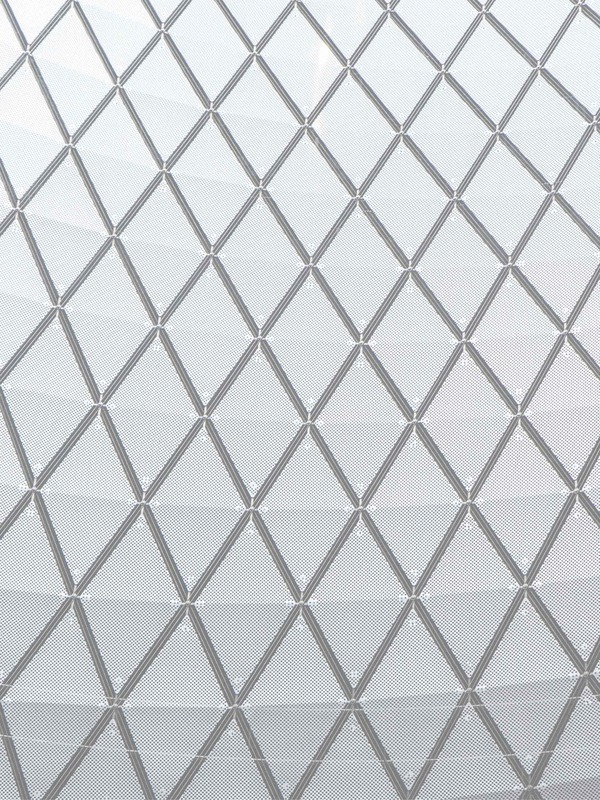 If you’re new to EFM, keep scrolling to read more about her. Erika Lamble is a Booking Agent with Ear For Music and also serves as the Office Manager for the entire EFM team. 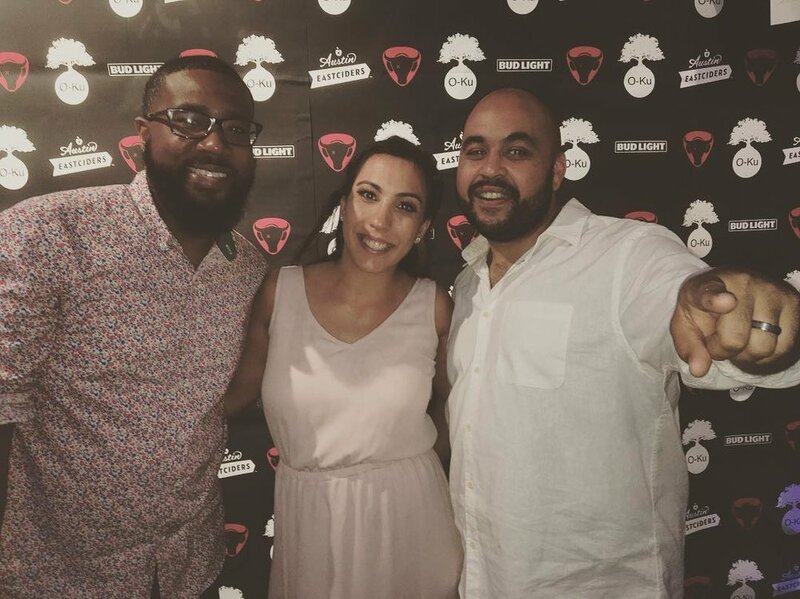 She exclusively represents DJ Natty Heavy (voted Charleston’s #1 DJ by The City Paper every year since 2013), DJ R Dot, DJ Y Not, Seth G, and The Secrets for weddings and private events. A Fundamental member of our team for the past 4 years, she is the point person for all clients including Planners, Venues, Engaged Couples, and anyone that is simply planning a party. Count on Erika to be attentive and genuinely excited about the musical aspects of your event. Erika is a lover of live music and has been attending shows since her early teens. Some of her favorite live shows have been Ryan Adams at Red Rocks, The Avett Brothers at First Flush Festival, and Roger Waters at The Barclays Center. Moon Taxi w/ RIPE at Charleston Harbor Resort on 9/29! This show on September 29th at Charleston Harbor Resort & Marina is getting close and tickets are still available. Along with Ripe, Moon Taxi will be joined by Magic City Hippies and DJ NattyHeavy. The show is presented by The Bridge at 1055 with help from our friends at Bud Light & Wicked Weed Brewing. Tickets are available now at Ticketfly! Ear for Music and The Windjammer are proud to present 20 RIDE, America’s #1 Zac Brown Tribute Band on Friday, September 28th for their Windjammer debut. 20 RIDE is American Country/Folk music at it's finest and they are taking audiences by storm. As Zac Brown's tour manager Paul Chanon said, "I had to do a double take the first time I saw him. I thought it was really Zac." Get tickets for the show at The Jammer early at the link below! Hurricane Florence caused us to have to postpone our show with Patrick Davis & His Midnight Choir at the Charleston Music Hall. This show has been rescheduled for Thursday, October 25th. If you have a ticket already and can come on the new date, hang on to your original ticket, as these will be honored for the new date. If you cannot make the new date, you can get a refund from your original point of purchase. If you need help, please email info@charlestonmusichall.com or call 843-853-2252 to request a refund. Congrats on Best DJ, Natty Heavy! DJ Natty Heavy was recently asked to write an essay in celebration of the Post & Courier Charleston’s Choice 2018 Award Winners. Of course, he chose to write about dancing and why Charleston’s one of the best places around to get your groove on. Congrats to all the Charleston’s Choice winners, including Best DJ, DJ Natty Heavy!! Dickey Betts Band in Augusta, GA! We’re thrilled to be able to announce our second show with Dickey Betts Band this year. This time, we’ll be joining him in Augusta, GA at The Bell Auditorium on Friday, November 1st. Joining him will be The Devon Allman Project and Duane Betts. It’s going to be another epic show! Learn more and get tickets early at the link below. Greg Humphreys Electric Trio is returning to Charleston for a show at The Commodore on Thursday, October 25th at 8pm. Music fans are familiar with Humphreys from his years leading North Carolina faves Dillon Fence and Hobex. With songs influenced by the best in pop, funk, soul, R&B, and rock n' roll, you might find Greg Humphreys Electric Trio in the same soul centric corner of the big Americana tent where you'd find Alabama Shakes or Lake Street Dive. The Electric Trio formed in New York City in 2014 when Greg took to local stages with fellow seasoned southern transplants drummer Keith Robinson and bassist Matt Brandau. Tickets will be sold at the door at The Commodore. One Reunion Show Down for the Blue Dogs, One to Go! Hootie & the Blowfish played Volvo Car Stadium for their annual reunion show, and like last year, they were joined by The Blue Dogs and DJ Natty Heavy both nights. Another year, another sold-out weekend of great music with some of South Carolina's finest! We're getting ready for The Blue Dogs' other reunion show they play every year - theirs! Tickets are on sale for The Blue Dogs 6th Annual Homecoming & 30th Anniversary Show this September. Look out for an announcement of this year's special guests on Labor Day Weekend. Proceeds benefit MUSC Children's Hospital and we've got a big number to beat this year - $184,000! Get your tickets at the link. DJ Natty Heavy Opens for Hootie to a Sold Out Crowd! The family spent some time traveling cross country this summer. We went all the way to San Francisco and saw some great things along the way. Seeing the Grateful Dead house at 710 Ashbury Street was definitely a highlight. We were just a few decades too late to the party! This show on September 29th at Charleston Harbor Resort & Marina just got even better! Along with previously announced act Ripe, Moon Taxi will be joined by Magic City Hippies and DJ NattyHeavy. The show is presented by The Bridge at 1055 with help from our friends at Bud Light & Wicked Weed Brewing. Tickets are available now at Ticketfly! JUST ANNOUNCED: America's #1 Zac Brown Tribute Band Coming to The Windjammer! This is not a wig wearing, lip syncing, pretending to play tribute band. These are real players, doing the great music the way Zac does at all his concerts. Up close and personal, moving, and fun! With nine hit singles, two platinum-selling albums, and countless fans, Zac Brown is quickly becoming a country music legend. From traditional country to Caribbean rhythm, to sultry bedroom ballads, 20 RIDE brings all the best Zac has to offer. Pushing the limits of what their talents offer, there is something for everyone. Whether you love their mega-hits like "Chicken Fried”, "Colder Weather”, "Free", "Toes", "Highway 20 Ride" or many more, 20 RIDE will play all your favorites and some cool covers, too. Patrick Davis is a singer, songwriter, artist & storyteller originally from Camden, South Carolina who has spent the last fourteen years making his musical mark in Nashville, TN. Patrick learned the finer points of music & performance growing up in a household that not only included a talented guitar playing father, but also an extensive record collection always readily available for his absorption. At the age of 16 Patrick joined his father Rusty on stage for his first ever performance and since that initial “gig” music has been the only job Patrick has ever held. 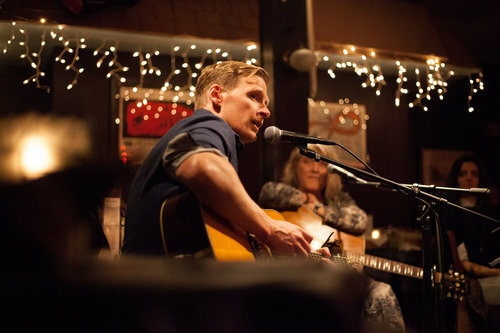 After graduating from The University of South Carolina in 2000 Patrick moved to Nashville, TN where for almost 15 years he has continued to build his songwriting, artist and touring career. Patrick has released four well received full length albums, toured the US & Europe as both a headliner & support act for Darius Rucker, Jewel & others while also being employed as a staff writer for Warner Chappell Music Publishing & having over 50 songs recorded by artist like Jimmy Buffet, Lady Antebellum, Imelda May, Darius Rucker, Jewel, Robert Randolph, Guy Clark and many more. Patrick’s “Patrick Davis & Midnight Choir” is an 11-piece band featuring horns & background singers created by PD in early 2016 from both his own artistic vision & the soundscapes of his songwriting & performing heroes Van Morrison, Lyle Lovett & Bruce Springsteen. Davis borrowed the name “Midnight Choir” from a line in one of his favorite Leonard Cohen songs “Bird On a Wire” & since his eleven-piece outfit starting playing dates Davis & “His Midnight Choir” have witnessed growing congregations across the Southeast. DJ rDOT (l) with DJ Natty Heavy (r) and his wife. July 27th is DJ rDOT's birthday! Give him a follow at the link below and see where he's playing next. The Blue Dogs are coming back to Charleston Music Hall on Saturday, December 29th, 2018 to celebrate 30 years together. In that time, they have played more events for pediatric cancer than any other charity work. So, when they created their own annual event in 2013, they saw it as their chance to bring folks together to join in the fight to end pediatric cancer by raising funds for cutting-edge research—while also putting on a great night of music. In 2016 & 2017 alone, they raised over $300,000, thanks to an amazing group of generous charity-minded sponsors and loyal music fans—along with The Press On Fund out of Augusta, GA, which provided a match for every dollar raised. With their mission to cure childhood cancer within our lifetime, The Press On Fund will continue to work alongside the Blue Dogs and their sponsors to support the work of MUSC Associate Professor of Pediatrics Jacqueline M. Kraveka in the division of Pediatric Hematology-Oncology. Dr. Kraveka runs the ONLY pediatric oncology research lab in the state of South Carolina. Ultimately, The Blue Dogs get to do what they do best: play music and celebrate! Over the five years so far, we have been fortunate to have as special guests many of our musical colleagues and heroes including Darius Rucker, Hootie and the Blowfish, Edwin McCain, Radney Foster, Drivin n Cryin, The Connells, Pat McGee, Uncle Mingo, Jupiter Coyote, The Killer Whales, and many more local and regional musicians we know and love. Each year there are unique collaborations and always a couple of last-minute surprises. Our special guests this year will be announced on Labor Day weekend. That's a Wrap on Another Great Season of Party at the Point! Thank you to all who joined us for Party at the Point this year. 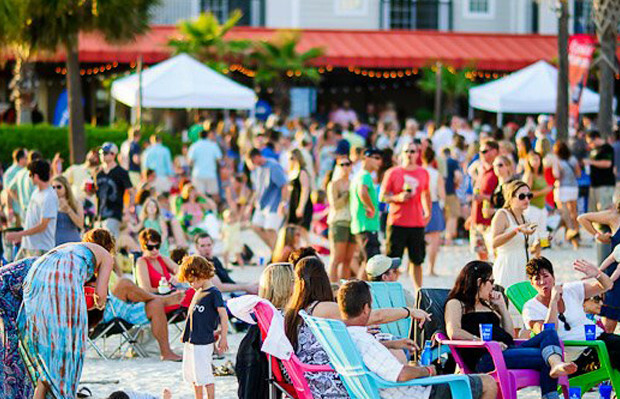 This was our 18th year at the Charleston Harbor Resort & Marina, bringing live music to the beach for an epic happy hour series to officially kickoff the summer season. Looking forward to next year already. Let us know who you'd like to see again by sending us a message on Instagram. Thanks to The Bridge 105.5, Charleston Harbor Resort & Marina, The Fish House, Naked Turtle, Bud Light, David Aylor Law Offices, and Red's Ice House for their support in sponsoring this event! Which show was your favorite? Rebelution played another killer show at Riverfront Park at the end of June. Joining them on the Free Reign Summer Tour 2018 were special guests Stephen Marley, Common Kings, Zion I, and DJ Mackle. JUST ANNOUNCED: Moon Taxi at the Point! The five-piece band hailing from Nashville has released three albums: Cabaret (2012), Mountains Beaches Cities (2013) and Daybreaker (2015). They have appeared on Late Show with David Letterman, Late Night with Seth Meyers and Conan. Their music has also been featured in multiple commercial and TV placements, including BMW, Nashville, MLB, NFL and HBO Sports to name a few. A festival favorite, the band has performed at Bonnaroo, Coachella, Governor's Ball, Hangout Festival, Lollapalooza, Austin City Limits, Outside Lands and more. Daybreaker was recorded at Blackbird Studios in Nashville and produced by Jacquire King (Kings Of Leon, Modest Mouse, Tom Waits, James Bay). July is usually the month it gets so hot here in Charleston that we start forgetting how cold we were in the winter while wishing for those cooler temperatures. It's got us looking forward to a few months ahead, where before we know it, the holidays are upon us again. Plan ahead for your holiday party this season, and lock in a date with our very own Santa & Mrs. Clause. Email ErikaLamble@earformusic.com for more info, or click to book below. Santa with the staff at Tavern & Table for their Santa Brunch 2017. We know The Clubbullies are the best DJs in town, especially when it comes to making weddings memorable for a bride and groom. But, it's great to hear it from happy clients when they thank them for being a part of this special day! We had a truly amazing experience for the EFM team. We were honored to be a part of the show and all that came with it! From gathering at The Big House Museum upon arrival to watching Dickey Betts walk on stage and resurrect the Allman Brothers Band's music, our time in Macon was surreal and magical. Then, we had the pleasure of seeing Jaimoe not only join Dickey for "Whipping Post" at Macon City Auditorium but also bringing the house down at the Hargray Capitol Theatre for the after party! We would like to thank our show partners Friends With Benefits Productions, The Big House Museum, The Macon City Auditorium, The Capitol Theatre, David Sepro (David Spero Management), Steve Schenck at TKO Artist Management, Heather Gillis, Jaimoe's Jasssz Band, Duane Betts, Devon Allman Project & last but not least, Dickey Betts Band for bringing the music back to the stage in Macon, GA where it all started in 1969! Party at the Point Extended Through 7/6! Due to some bad weather, The Bridge Homegrown Night at Party at the Point was cancelled this month, but will be rescheduled for the first Friday in July! The Bridge Homegrown Night will celebrate local artists and feature Guilt Ridden Troubadour and Sideshow Americans. Visit charlestonpartyatthepoint.com for tickets and follow Party at the Point on Facebook and Instagram for updates. DJ Natty Heavy wins Charleston's Best DJ! For the 5th year straight, DJ Natty Heavy has won the title of Best DJ in Charleston City Paper's Best of Charleston awards. Congratulations! 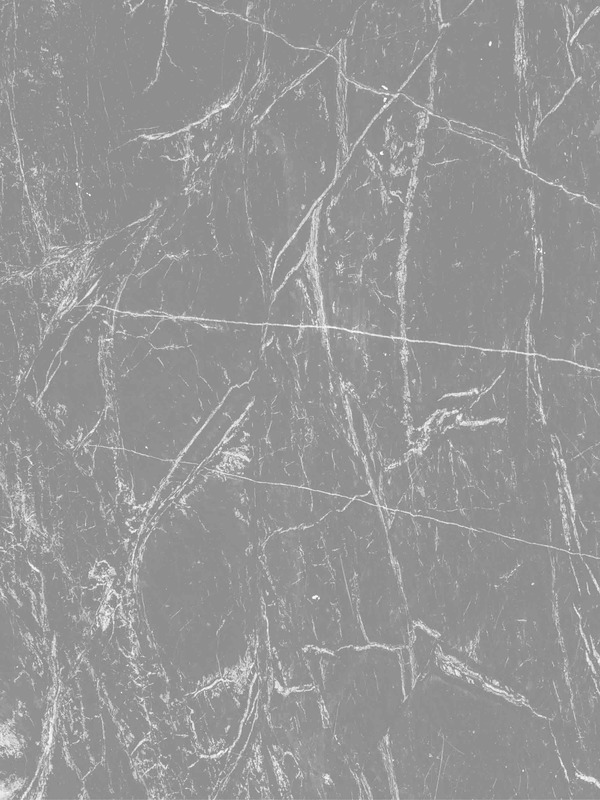 We're proud to represent the hardest working DJs in town. Whether it's a club show, a wedding, or private event, we know what they give to make sure every event they do for their clients is unforgettable. Well deserved! High Water Festival was a massive success. Only in its second year, the event (curated by Charleston's own Shovels & Rope) featured Jason Isbell, Band of Horses, St. Paul and the Broken Bones and more. We've been proud to be a part of the festival's continued success by managing the venue, North Charleston's 15-acre Riverfront Park, setting up the stage and working on-site to help production. Next year's dates are already announced. Mark your calendars for April 13-14, 2019. Tickets for Official Dickey Betts Band After Party with Jaimoe's Jasssz Band and Heather Gillis Band Still Available! After the show at Macon City Auditorium, join us for the Official Dickey Betts After Party at the Hargray Capitol Theatre. Jaimoe (Jai Johanny Johanson) is a founding member of the Allman Brothers Band, one of the most influential groups of all time. A musician dear to the ABB Family, Heather Gillis, will join him. Gillis is a young guitarist/ vocalist, formerly of Butch Trucks and the Freight Train Band, who now fronts a talented group of her own that ABB fans won't want to miss! Event entry will be $10 per person (kids free 12 and under) and attendees can check-in at either entrance to Hutson Alley located at 39 John St. or 26 Hutson St. Widespread Panice and Sturgill Simpson played two nights in a row at Riverfront Park's first Trondossa Music & Arts Festival. Along with a killer lineup that included Moon Taxi, Margo Price, Hiss Messenger, and Big Something, the festival featured up and coming Lowcountry artisans who could share their crafts with festivalgoers, as well as a full lineup of food and drink. Party at the Point kicked off Friday, April 27th with The Departure: The Ultimate Journey Tribute Band. Visit charlestonpartyatthepoint.com for tickets and follow Party at the Point on Facebook and Instagram for updates. 90s hip-hop group and two time GRAMMY award winners Arrested Development put on a show to remember at The Alley Friday, May 11th. It was an honor and a privilege to work with this fantastic group of artists. Looking forward to the next one! Sol Driven Train performed at Mex 1 Coastal Cantina on Sullivan's Island for the second installment of Mex 1 Sessions on Sunday, April 1st. This show benefited Carolina Studios, a local organization that provides students a safe environment that fosters creative, educational, and career-focused initiatives through music, technology and media arts. High Water Festival is This Weekend! High Water Festival is back at Riverfront Park in North Charleston this weekend, April 21 - 22nd. We love being a part of this epic show curated by Shovels & Rope. This weekend's lineup features Jason Isbell, Band of Horses, St. Paul and the Broken Bones and more. It's sold out, but join the Facebook Event here if you're still looking for tickets! 1. 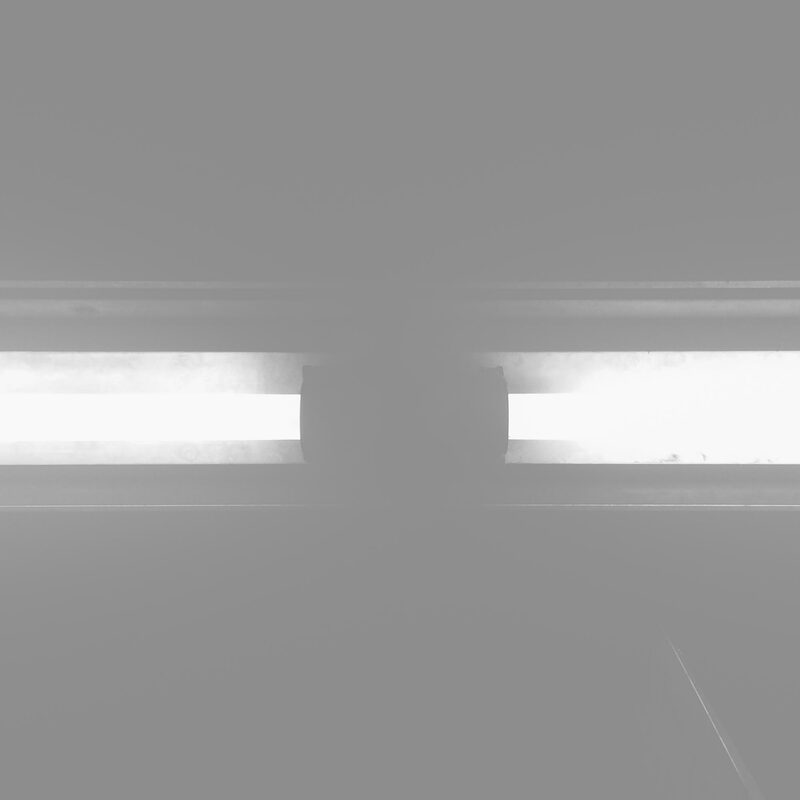 Think about the atmosphere you'd like to create. What energy and tone do you want your entertainment to create? Your making memories, so look for entertainers that can cater to your needs and are able to play the songs that mean something special to you. There's a lot to worry about on your big day. Seek the advice and experience of those who do this all the time! When it comes to music, you want to work with someone that understands the big picture, but is flexible enough to include details like specific songs that will make your wedding unforgettable. 3. Don't forget about ceremony music! When bride and grooms-to-be first think of entertainment, they think of the party. It's important to have the right music to entertain guests at the reception, but the ceremony is for you and those moments are what you'll remember first about your big day. Think about what kind of music should accompany those special moments and book them as far in advance as you do your party entertainment! Party at the Point kicks off Friday, April 27th with The Departure: The Ultimate Journey Tribute Band. Visit charlestonpartyatthepoint.com for tickets and follow Party at the Point on Facebook and Instagram for updates. IrishFest in Savannah Starts Today! Savannah, GA's annual St. Patrick's Day Celebration starts today, and we've got a great lineup of artists playing at City Market in front of Wild Wing Cafe. After successfully raising $2,500 at the first installment of Mex 1 Sessions with Drivin N Cryin to benefit Carolina Studios, Mex 1 and Ear for Music present the next installment with Sol Driven Train on Sunday, April 1. Tickets are limited, but still available here. Ear for Music, Holy City Hospitality, and Charleston Music Hall are excited to host a Post-Race Block Party on Hutson Alley following the big race on April 7, 2018. The Block Party will take place from 9am-1pm with a portion of proceeds benefiting The MEDI Community Resource Center. Indoor and outdoor festivities will include raffle items from local vendors and live music from The Black Diamond Band, Dave Landeo, and Finnegan Bell. Dickey Betts, founding member of the Allman Brothers Band, is returning to Macon, GA for a hometown show with the Devon Allman Project and Duane Betts. This historic show at the Macon City Auditorium on Thursday, May 17th is not to be missed! Party at the Point is coming back to Patriot’s Point this April with a killer lineup! Visit charlestonpartyatthepoint.com for more information and follow Party at the Point on Facebook and Instagram for updates. Welcome to the EFM Family, Zandrina! We’re proud to introduce Zandrina Dunning as EFM’s newest booking agent to join our team. A singer/songwriter and vocal instructor originally from Boston, Zandrina’s called Charleston, South Carolina home since the 90s and has been on the music scene since the early 2000’s. Her professional musical journey began while studying classical music at South Carolina State University in 2000. She received her Bachelor of Arts degree in Music Merchandising & Management in 2004. In 2005, she temporarily relocated to Atlanta for a few years to pursue her music career full time. While residing there, she worked with a subsidiary of the Island Def Jam Music Group, assisting with the promotion and marketing of new artists, collaborating with local recording studios on new campaigns, and also making a name for herself as a session vocalist. Upon returning to Charleston in 2007, Zandrina has performed with local and national recording artists to include Multi-Grammy Award winner George Benson, Darius Rucker, and American Idol Season 11 finalist, Elise Testone. She has graced the stages of the legendary Ryman Auditorium in Nashville TN, the Lincoln Theater in New York City, and many other noted venues throughout the US and internationally. Zandrina is no stranger to either side of the business. From the east to the west coasts she has had experience performing in all facets of the industry; from weddings and other special events to the bar scene, Zandrina has been a part of it all. We’re happy to have her! The Love Funk Tour is This Weekend! The Love Funk Tour featuring Cory Wong & Mr. Talkbox from Bruno Mars’ song 24k Magic is this weekend! Join us at the Charleston Music Hall this Sunday, February 18th at 8PM. 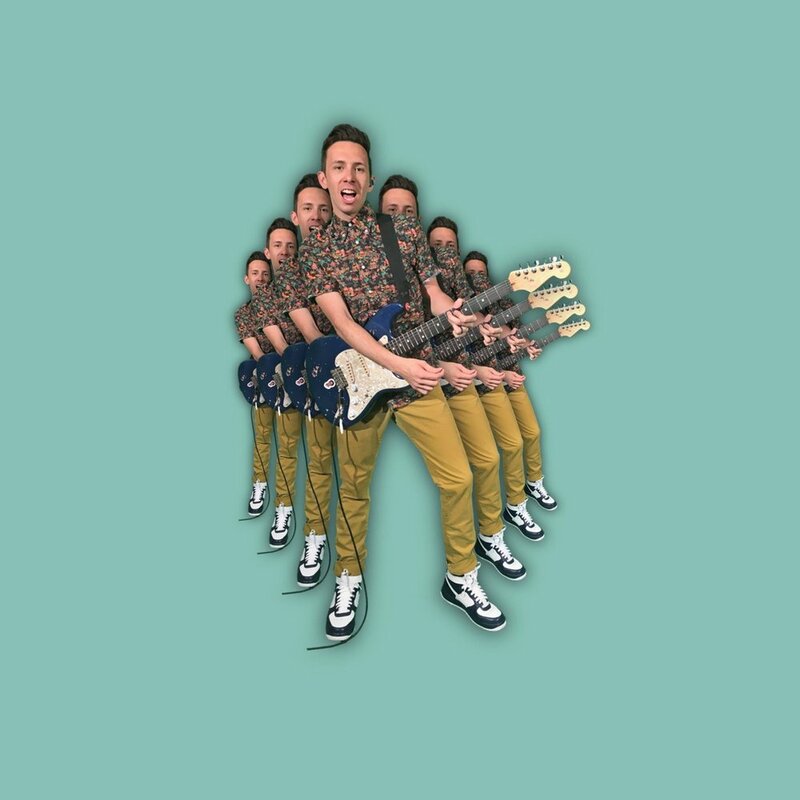 You’ll recognize Cory Wong from Vulfpeck, known for his guitar skills and collaborations with Questlove, Ben Rector, Gene Simmons, and Blake Shelton whom he met on NBC’s “The Voice”. 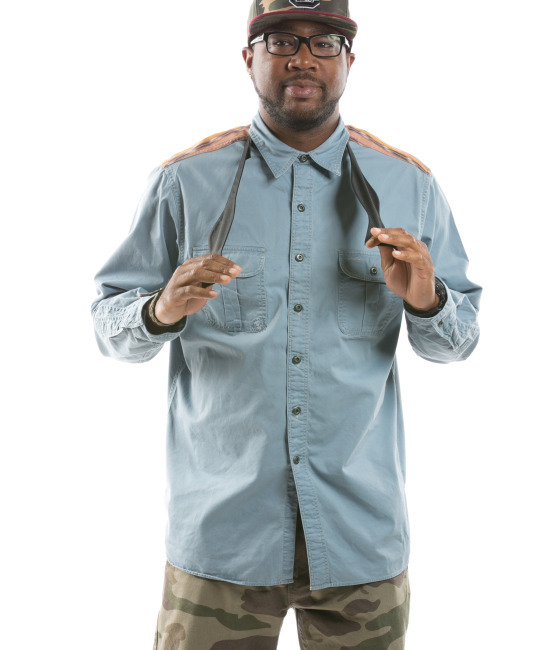 Mr. Talkbox is an internet sensation known for his chart-topping covers videos and more recently, original material. You’ll know his voice from Bruno Mars and Kendrick Lamar’s songs, or Avery Sunshine’s 2018 Grammy Nominated Song “Heaven Is Right Here”. Tickets are still available. Get them here. Tokyo Joe’s Rocket Man Tribute conforms to the model of a real Elton John concert. 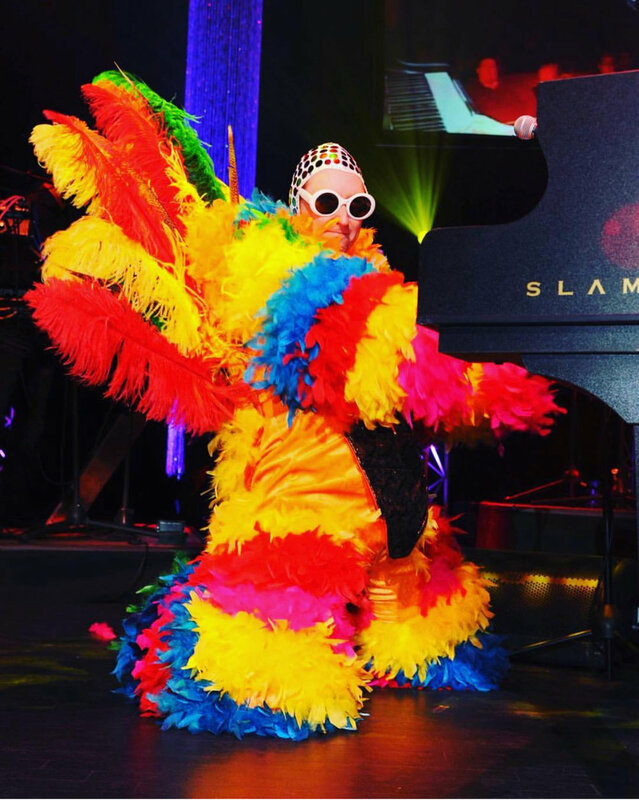 While going to great lengths to wear costumes that are exact replicas of those worn by Elton himself, and to entertain visually with state of the art lighting, Rocket Man is ultimately about the songs that are like a soundtrack to the lives of so many people. Performed by the Columbia, SC based rock quartet Tokyo Joe at Charleston Music Hall on February 23rd, Rocket Man is sure to leave every Elton John fan feeling as though they have experienced a tribute performance worthy of the original. Anyone who loves Elton John and his music will love this show! Vote for DJ Natty Heavy! We are thrilled that DJ Natty Heavy has been nominated for Best DJ (he’s won since 2013!) in Charleston City Paper’s Best of Charleston Awards. Help him keep his title of the best in the biz by voting here through February 23rd. Drivin N Cryin at Mex 1 is SOLD OUT! Drivin N Cryin’s recently announced Unplugged Pop Up Show sold out in 24 hours, but if you managed to get a ticket to the intimate experience at Mex 1 Coastal Cantina, thank you for helping to support Carolina Studios. Carolina Studios is a local non profit that provides students a safe environment that fosters creative, educational, and career-focused initiatives through music, technology and media arts. Learn more about them here. National Margarita Day is February 22nd! National Margarita Day is Thursday, February 22nd. Celebrate at SOL Southwest Kitchen and Tequila Bar. They’re featuring live music at all 4 locations from 6-9pm. Party at the Point is coming back to Patriot’s Point this April with a killer lineup! Look out for more details coming soon. Check out the lineup! 4/27/18- Departure- "The Ultimate Journey Tribute"
Blue Dogs Raise Over $189,000 at Homecoming Show! The Blue Dogs hosted their 5th Annual Homecoming and 29th Reunion show Friday, December 29th at Charleston Music Hall. Each year, this show is put on in concert with The Blue Dogs' friends and fellow musicians to benefit the MUC Shawn Jenkins Children's Hospital. This year's event, presented by O&O Hooch and Darius Rucker's Backstage Whiskey, featured artists like The Connells, The Killer Whales, Travis Allison Band, Don Merckle & The Blacksmiths, Peyton Tochterman, Leisure McCorkle, Holland Teed, and more. Read more about the show here. A former keyboardist for NSYNC, Mr. Talkbox is now making waves on social media with over 12 million views on his videos. His success has put him on the radar for artists like Bruno Mars, Kendrick Lamar, and Rihanna, landing him a spot as The Voice on “24k Magic” and “Loyalty”, as well as R&B diva Avery Sunshine’s 2018 Grammy Nominated Song “Heaven Is Right Here”. He’s got 5 #1 singles in Japan and a Grammy nomination for his collaboration with TobyMac on the track “Feel It”, and now he’s coming to Charleston as part of the Love Funk Tour with Vulfpeck’s Cory Wong. Wong, a renaissance man and “the most famous Minnesota musician you’ve probably never heard of”, is slowly making his way towards the spotlight after a career producing, arranging, composing, and collaborating on shows like NBC’s “The Voice”, with artists like Blake Shelton, Questlove, and Gene Simmons. Tickets are $18 in advance at CharlestonMusicHall.com. Join and share the Facebook event here. 2017 was our 17th year of this concert series at Patriot's Point. Each year, The Blue Dogs rally together close friends and musicians for a 2-night event to benefit MUSC Shawn Jenkins Children’s Hospital. This year, we got to join them on a tour of the hospital’s new site in Downtown Charleston and see them perform for the construction team, put on by WEZL 103.5’s Crews-aide for Kindness with Crews Chevy. That morning, the Blue Dogs played a special show in the Atrium of the hospital’s current site, caroling and singing songs with patients. 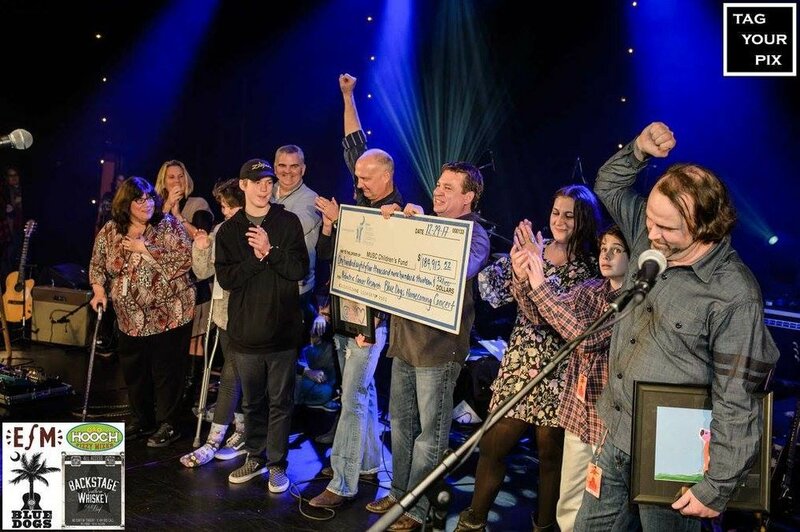 Last year alone, with help from the Press On Fund, the Blue Dogs homecoming show raised over $130,000 to benefit pediatric cancer research at MUSC Shawn Jenkins Children’s Hospital. This year’s show will be on Friday, December 29th at Charleston Music Hall. Get to know our exclusive artists a little better with our 5 questions! Favorite Song “Jump Around” by House of Pain (l know it like l know my ABCs) or “You Got Me” by the Roots. My song of the moment is “Attention” by Charlie Puth. Most Memorable Gig First time in Savannah for St Pats in the City Market. There were thousands of people in just a sea of green - and they were partying! If You Weren't a DJ, What Would You Do For A Living? I would be editing audio, video or websites. I do that on the side now so that’s an easy question. Best Part About Being a DJ The feeling after you rock a great gig. You feel like the king of the world. l live for that. Where To See You Next Download the FREE “NattyHeavy” app in your app store to hear music and find out about the next show. Radney Foster Returns to Charleston With New Music / Book Combo "For You To See The Stars"
The Clauses are For Hire! While we haven’t directly asked him about his musical talents, even Santa needs help booking his gigs when the holidays roll around. 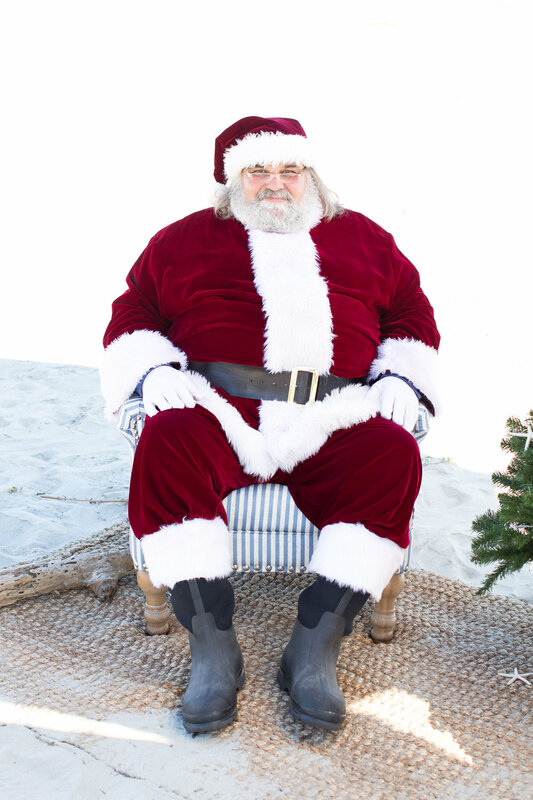 So, when he and Mrs. Claus asked us to be their exclusive booking agent, we were thrilled! Along with providing the entertainment for your Christmas party, Ear For Music is now able to add to the experience by scheduling a visit with Santa and Mrs. Claus. Whether it’s to entertain kids with a storytelling of “Twas the Night Before Christmas” and getting them excited for the holiday, or hosting your corporate function with a dramatic reading of the “naughty list”, Santa and Mrs. Claus will make your holiday party an evening to remember! Most Memorable Gig Definitely St Patty's Day on River Street in Savannah 2016. We probably played for 10+ hours a day for 4 days straight, but played for maybe 200,000+ people at a time! To see a couple thousand people vibe and party with you is an experience you cannot put into words. If You Weren't a DJ, What Would You Do For A Living? I would probably get into some type of engineering job. I love fixing things, I fix all of the equipment for the Clubbullies when something goes down. Best Part About Being a DJ Being able to help someone escape their problems of the day. We are kind of like therapists. People come out to dance, have fun, and get away from the issues of the world, and I make sure to help them in anyway I can, whether it be a wedding or a birthday party. Our Music Community Bands Together to Organize Celebration of Life for Nathan Salley to Benefit Note 4 A Note Foundation. Last month, our Charleston music community lost a talented, professional, and well-respected musician. We always enjoyed working with Nathan Salley, and would love your support in donating to a newly established foundation in his honor - Note 4 Note. Note 4 Note aims to help musicians battling with depression, and will be hosting a Celebration of Life in his honor on Sunday, November 26th at The Washout on Folly Beach. This benefit show will feature local musicians like Ward Buckheister, Emily Curtis, Presley Beacham, Charles Cannon, Ben Fagan and The Holy City Hooligans, Jamisun, and more. Join and share the event on Facebook here. The Return of Plane Jane at Wild Wing Cafe Mt. Pleasant! Plane Jane is back at Wild Wing Cafe on Coleman Boulevard for a throwback Pre-Thanksgiving Turkey Day Jam on Wednesday, November 22nd. Music starts at 9pm. Wild Wing Cafe's North Charleston location will also have a Pre-Turkey Day Bash on Big Wednesday, with live music from The Secrets at 10:30pm. Nashville songwriter Patrick Davis is returning to his home state of South Carolina to celebrate the release of his new EP, Where Does It Go, on Friday, October 27th at Charleston Music Hall. This venue's intimate space is perfect for this event - Patrick Davis is known for his storytelling abilities, and coupled with his 11-piece band featuring horns and his own family members, this night is going to be unforgettable. We had the opportunity to get a sneak peek of the new music, and love the relatable lyrics, particularly in his new song "Million Miles Away", which gives a nod to our hometown of Charleston. Check out and purchase the EP on iTunes or patrickdavismusic.com when it's released October 20th, and join us to help them celebrate it at the Charleston Music Hall Friday, October 27th! Get tickets here. 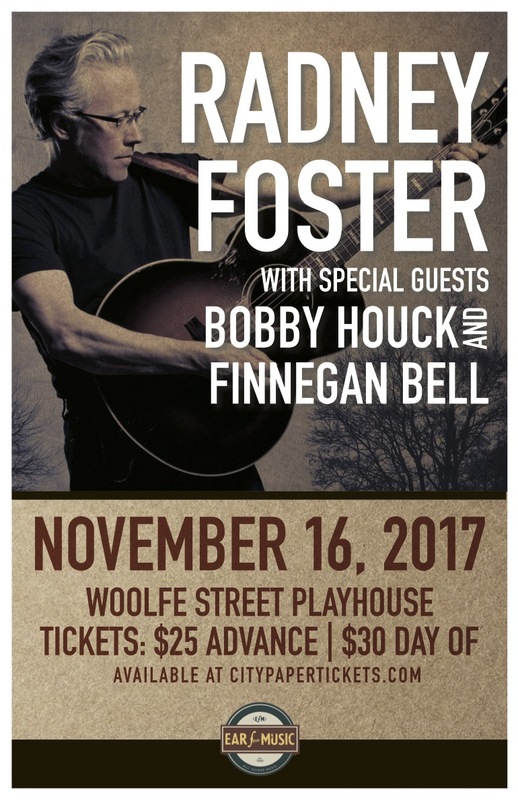 Legendary Nashville artist Radney Foster will be hosting special guests Bobby Houck of The Blue Dogs and Finnegan Bell at an intimate acoustic evening at the Woolfe Street Playhouse on November 16th. Foster has written eight number one hit singles, including his own "Nobody Wins," and "Crazy Over You" with duo Foster & Lloyd. His discography contains countless cuts by artists ranging anywhere from country (Keith Urban, The Dixie Chicks, Luke Bryan, Nitty Gritty Dirt Band) to contemporary (Marc Broussard, Hootie & The Blowfish, Kenny Loggins, Los Lonely Boys). Foster's most recent project is a CD/book combo titled For You To See The Stars, a collection of stories and music inspired by his home state of Texas. Part of the proceeds benefit RebuildTexas.org to support ongoing flood relief. He'll be reading excerpts from his book and performing a song at Buxton Books prior to his show on November 16th. Get tickets for the show here. Born and raised here in Charleston, SC as Robie Howell, DJ R Dot has made a name for himself in the Lowcountry's music scene since he started spinning in 2005. With over 40,000 songs in his repertoire and over 25,000 hours of experience, he's become a top choice for weddings throughout the Southeast, corporate events, and clubs for his ability to play to whatever crowd he's entertaining. DJ R Dot has DJ'd many of the Southeast's top events, like the Charleston Wine & Food Festival Finale Party, Charleston Fashion Week, Snyder Grand Ball, and countless others. Catch him every Saturday on 95SX spinning during The Clubbullies Takeover from 9pm-midnight, and book him for your next event to make it an unforgettable one! The Blue Dogs are returning to Charleston Music Hall this December to celebrate 29 years of making music. This annual homecoming is not just a celebration, but also a benefit for MUSC Shawn Jenkins Children's Hospital. For years, The Blue Dogs have invited many of their close friends on stage with them at this show, including Edwin McCain, Darius Rucker, Hootie and the Blowfish, Radney Foster, Drivin n Cryin, Doug Jones, Danielle Howle, Pat McGee, Jupiter Coyote, Shawn Camp, Cary Hudson, Wallace Mullinax, Sadler Vaden and a host of other talented musicians. Stay tuned for upcoming announcements on special guests, and get your tickets early to join the celebration! Get tickets here. The first thing we heard was his voice and it stopped us in our tracks. It was familiar, but original, and at the same time, it was a voice we felt we hadn’t heard in decades. We were at the Targhee Music Festival in Wyoming this past July when we first heard Willie Nelson’s son Lukas and his band Promise of the Real. We knew we had to bring them to Charleston, but Lukas doesn't need his last name's help. Since 2007, he and his band have been quietly making waves, and most recently became Neil Young's choice for his studio and touring band. Last month, they released their most recent, eponymous studio album, and on September 21st, they’ll be making their Lowcountry debut at the Music Farm with The Travelin’ Kine opening for them. We’re stoked for this show, and hope to see you there! Get tickets here. Little Bird is bringing their surf rock/jazz/Americana vibe back to The Commodore this October 5th for another killer show! Originally from Annapolis, MD, these guys have called Charleston home for the past two years and gained a loyal following in the Southeast. They’ve toured with G Love & Special Sauce, Pressing Strings, Long Miles, and Fortunate Youth and played on the big stage, but we’re looking forward to seeing them in a more intimate setting here in downtown Charleston. Show is 21+ and tickets are $10 at the door. Join + Share the Facebook Event here. If you haven’t seen Seth G play his violin around town yet, or seen his music videos that mashup current pop songs with his classically trained talent, you’re missing out. Seth Gilliard is a Charleston native and 2012 Furman University graduate that’s making waves in the local music scene with his originality and creativity. Since graduating and being featured as a soloist with the Furman Symphony Orchestra, the Southcoast Symphony Orchestra, the Anderson Symphony Orchestra and the Charleston Symphony Orchestra, he’s performed for Oprah and garnered over a million views on YouTube for both his covers and original work. Seth is cultivating his very own style of music and entertainment, and redefines what it is to be a contemporary violinist. 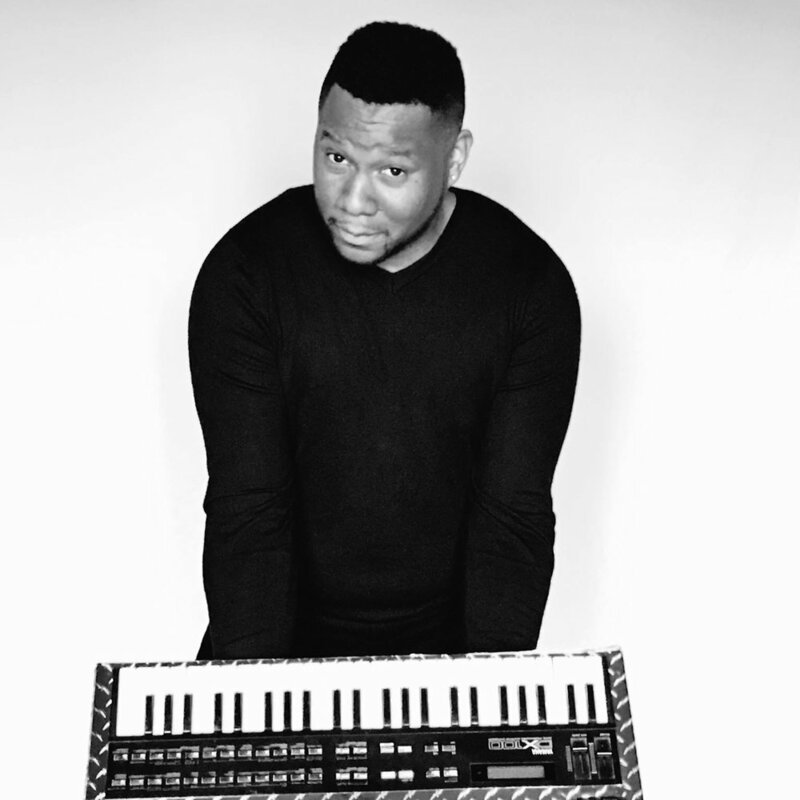 Perfect for any event, from wedding ceremonies to corporate functions to birthday parties, we’re happy to have him onboard as an exclusive Ear For Music artist. Follow Seth G on Instagram or YouTube, contact us for booking information and make your next event unforgettable! You've heard them on the radio, you've seen them at the hottest parties, events and weddings all over town, and now, as they get more in demand every day for being Charleston's kings of entertainment, we're thrilled to represent each of these powerhouses as their booking agent. DJ RDot, DJ YNot, and DJ Natty Heavy are consistently recognized for their ability to feel the crowd and create a vibe that makes the event unforgettable. Book them here. Only a few days left until Little Bird Live at The Commodore. 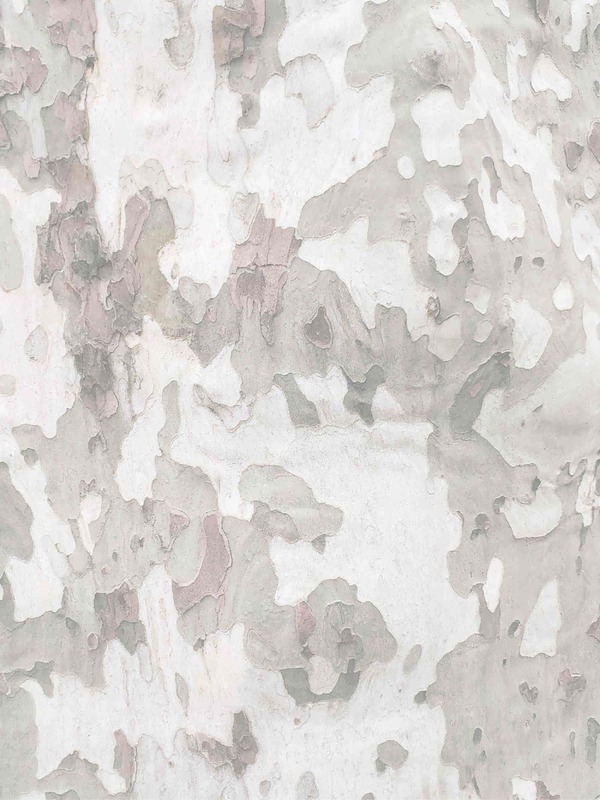 Little Bird hails from Annapolis, MD and have been calling Charleston, SC home for the past two years. This talented band has found the perfect equation to blend surf rock, jazz, and Americana into a high energy killer live show. They have travelled all along the east coast and have shared the stage with bands such as G. Love & Special Sauce, Pressing Strings, Long Miles, and Fortunate Youth. You can catch Little Bird at The Commodore on April 6, 2017. After you see Little Bird at The Commodore on April 6th, you will have to come back to The Commodore for Greg Humphreys Electric Trio on May 11th. Greg Humphreys and his Electric Trio are ready to positively charge the dance floor and have their music resonate throughout the venue. So make sure you grab your friends and wear your dancing shoes because Greg Humphreys Electric Trio are ready to rock the night away on May 11th at The Commodore. Did you know that we also do production management here at Ear For Music? 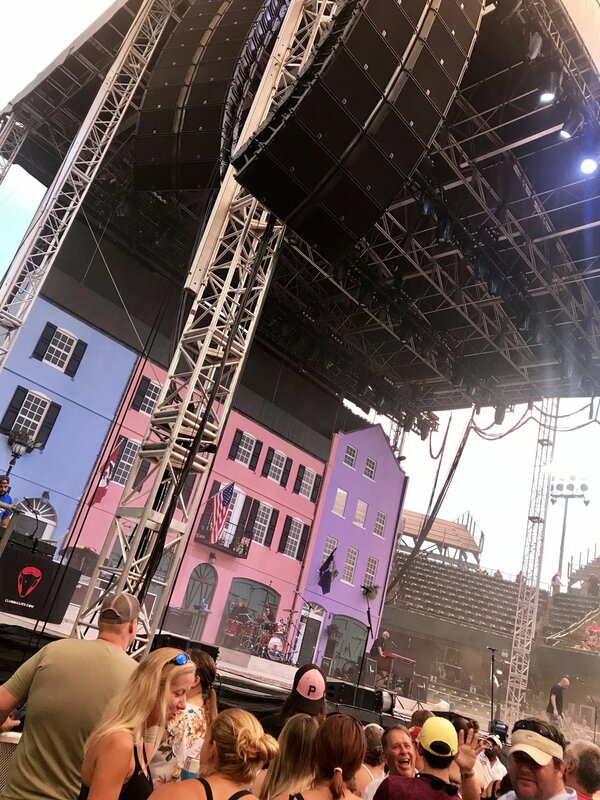 Our founder, Rob Lamble, has years of experience in this field and was recently the production manager for a needtobreathe event at The Cedar Room and Daniel Island Club. Kicking off the ultimate beach party this season is Banana Pancakes - A Tribute to Jack Johnson. They say if you can't see the actual Jack Johnson then check out Banana Pancakes - A Tribute to Jack Johnson because they are the next best thing. 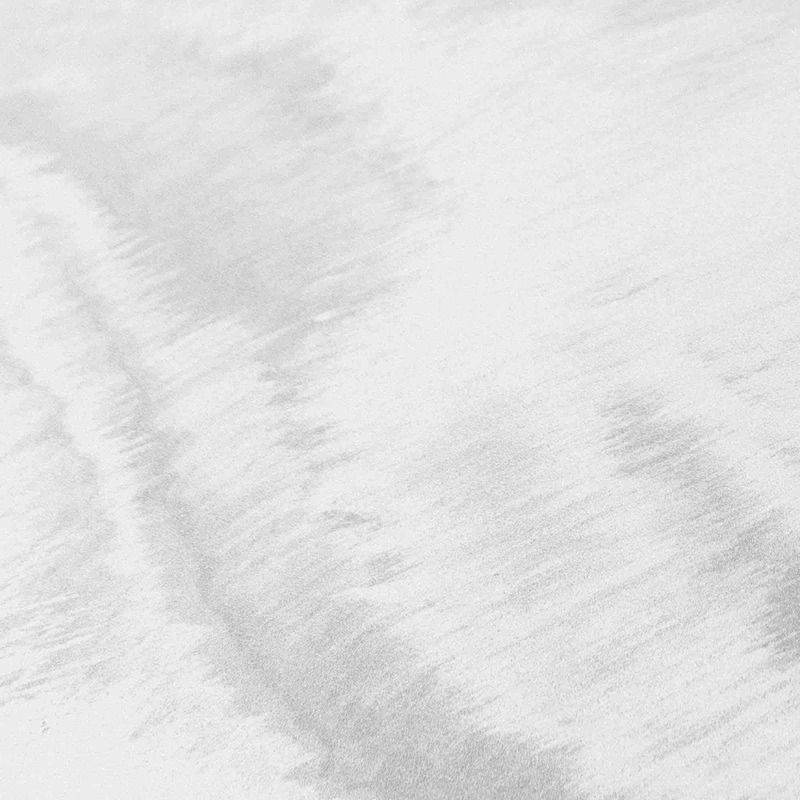 Also, what could possibly be more of a perfect pair than Banana Pancakes and the beach? It would be a crying shame if you missed this show! So, mark your calendars for our first Party at the Point of the season on April 28th with Banana Pancakes - A Tribute to Jack Johnson. We all know and love DJ Natty Heavy as our favorite wedding DJ. Now you can catch him as your favorite Thirsty Thursday DJ at The Joe, for The Charleston Riverdogs home baseball games, too! Bring your friends and head over to The Joe every Thursday for some great jams by DJ Natty Heavy, and don't forget to grab a refreshing beer for that 7th inning stretch. Calling all college students! Do you have a passion for music and live events? Are you a hard worker? Would you like to discover what really goes on behind the scenes in presenting a concert to the public? Are you looking for a college credited internship for the summer? If so, then contact us today at erika@earformusic.com for more information. With the new year comes a new office; Ear For Music relocates to Mt. Pleasant, SC. It has been a fun and wild ride in the heart of Charleston, SC, but we are ready for a change in scenery. You will now be able to find us in the up and coming town of Mt. Pleasant at 1007 Johnnie Dodds Blvd, suite 100. Out team is over the moon with this new modern office space. 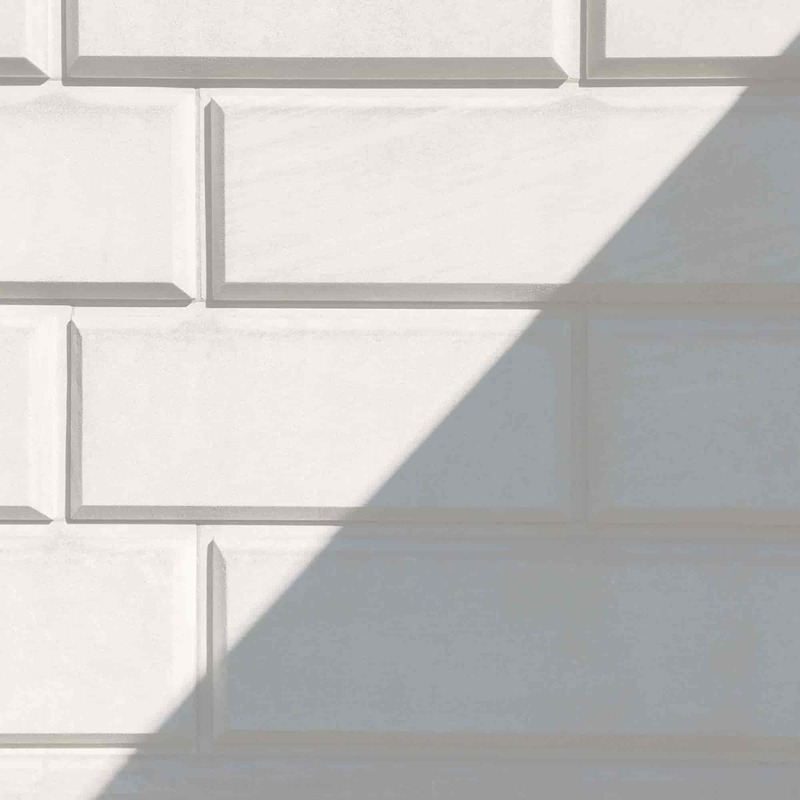 The building itself is shared among plenty of new and unique start-up companies that we can't wait to possibly team up with for some exciting new projects. Our new office space also gives us access to shared conference rooms and huddle rooms. We can't wait for you to visit us at our new location and continue to work with us here at Ear For Music. If you were one of the lucky ones who caught Little Bird at Woolfe Street Playhouse a few months ago, then you know just how amazingly talented they are and you know just how unique the venue is at Woolfe Street Playhouse. However, if you missed them then here is your second chance to see Little Bird, check out a hip venue, and kill two birds with one stone. The first bird is Little Bird, they will be live at The Commodore on April 6, 2017. Little Bird hails from Annapolis, MD and has called Charleston, SC home for the past two years. They blend surf rock, jazz, and Americana into a high energy killer live show. In 2015 and 2016, the band played and headlined festivals such as Bayfunk, Pink Moon, Silopanna, Doah, EastPortaRockin' and more. Little Bird has also shared the stage with G. Love & Special Sauce, Pressing Strings, Long Miles, Fortunate Youth, and many more. Little Bird will continue their bird call at The Commodore on April 6, 2017. The second bird is The Commodore, a local vintage bar and music venue. This posh venue has hosted many jazz and soul bands over the years. The Commodore building, formerly known as A Touch of Class, has occupied its spot on Meeting Street since the 1950s. These walls have witnessed the greats from the jazz, soul, and funk era such as James Brown and Marvin Gaye. 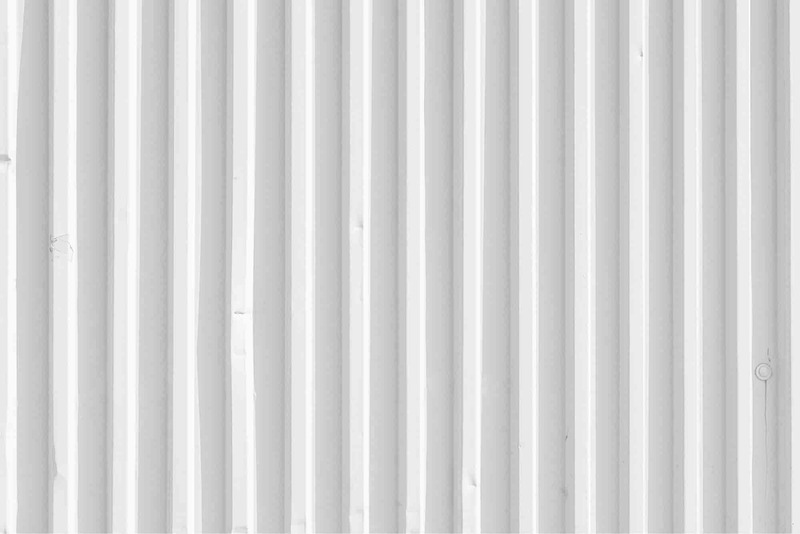 On April 6, 2017, The Commodore is excited to have Little Bird imprint their music into its walls, too. Who's ready to have an electric time with Greg Humphreys Electric Trio at The Commodore on Thursday, May 11th. Fresh off their debut of "Lucky Guy", Greg Humphrey and his Electric Trio are ready to positively charge the dance floor and have their music resonate throughout the venue. "Lucky Guy" is their debut album that finds the critically acclaimed artist creatively invigorated. 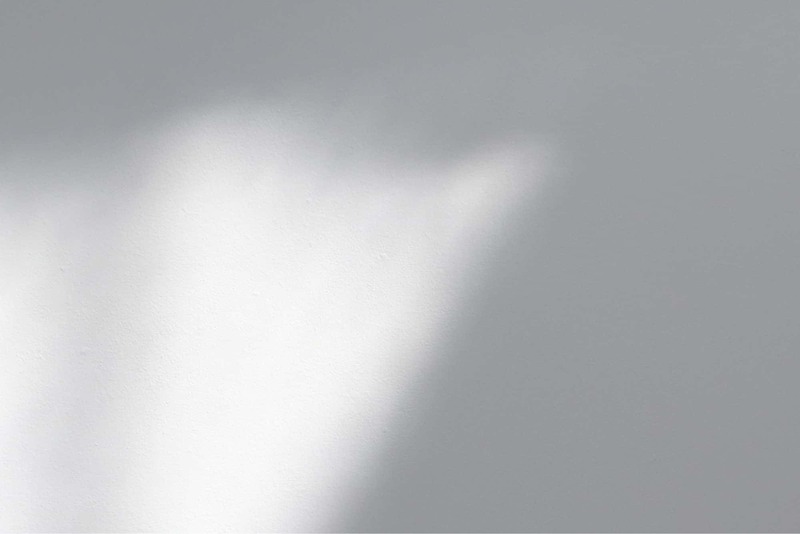 Within this album, you will find your ears tickled with sweetly soulful Americana and raucous roots rock that showcases Humphreys' elegant virtuosity and his heartfelt songwriting. Greg Humphreys Electric Trio and The Commodore is a match made in heaven, and it would be sinful to miss them on Thursday, May 11th. We are absolutely charmed by this exquisite event better known as Diner En Blanc. This elegant large-scale picnic that originated in Paris will be gracing the lovely town of Charleston, SC in a top secret location that will be revealed at the very last minute. The eloquent Le Diner en Blanc recalls elegance and glamour of French Court Society. 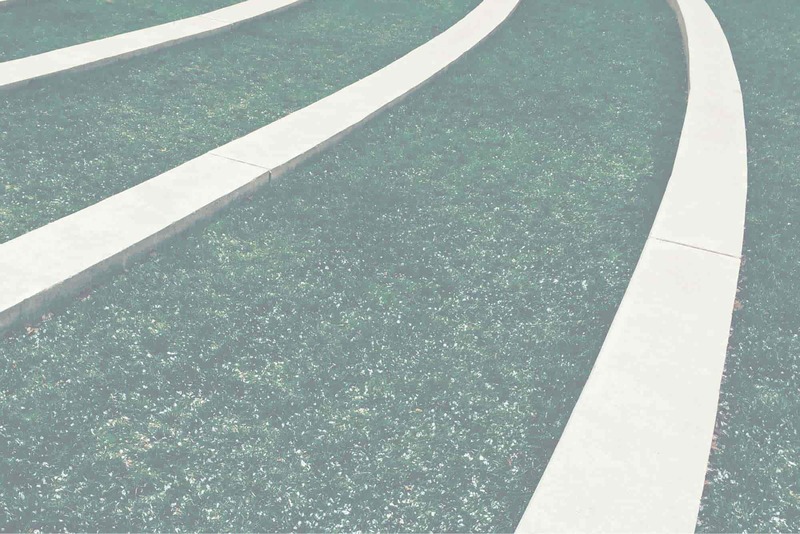 Draped in all white with the comportment of the greatest decorum and etiquette, patrons gather for a mass "chic picnic" in a public space that is kept secret until just minutes before their arrival. Over the course of the evening, guests from different backgrounds engage one another, experiencing the beauty and value of their city's public space by participating in the unexpected. Beyond the spectacle and refined elegance of the dinner itself, guests are brought together from diverse backgrounds by a love of beauty and good taste. Feel free to glance at their Facebook page and website for more information. We absolutely love receiving reviews like this from our clients! We love music and what we do and here is the proof. Great job DJ R Dot! DJ Natty Heavy and DJ R Dot are taking over the DJ scene in Charleston, SC. Don't believe me? Just watch the video below! From interviewing College of Charleston's Basketball Head Coach, introducing Biz Markie to The Alley, to Budlight Bingo at Triangle Char + Bar for a chance to win Budlight VIP tickets to St. Patty's Day in Savannah, DJ Natty Heavy and DJ R Dot are definitely laying their tracks across the southeast. DJ NATTY HEAVY FOR BEST OF CHARLESTON! Vote for DJ Natty Heavy as Best Club DJ as well as your other favorites for the City Paper's Best of Charleston 2017! With Valentine's Day just two weeks away, Tavern and Table has you covered with their Valentine's Day Brunch on February 12th! This love at first brunch will have a special Valentine's inspired brunch menu, a free chocolate fountain with strawberries and pretzels, and a Bloody Mary and mimosa bar, all while One Kool Blow serenades you and your honey. The Sweetheart Brunch is 11am-3pm, but the love will last forever! Patrick’s “Patrick Davis & Midnight Choir” is an 11-piece band featuring horns & background singers created by PD in early 2016 from both his own artistic vision & the soundscapes of his songwriting & performing heroes Van Morrison, Lyle Lovett & Bruce Springsteen. Davis borrowed the name “Midnight Choir” from a line in one of his favorite Leonard Cohen songs “Bird On a Wire” & since his eleven-piece outfit starting playing dates Davis & “His Midnight Choir” have witnessed growing congregations across the Southeast. Catch Patrick Davis and His Midnight Choir on February 23 at Charleston Music Hall for a night to remember! A world without Type 1 diabetes is a world worth living in. 1770 Records and See Water are teaming up to bring you See Water's Album Release show featuring TreeHouse, Of Good Nature, and Whitehall at Music Farm Charleston on February 24th. PBR has also decided to be a part of this concert that will benefit Juvenile Diabetes Research Foundation. Juvenile Diabetes Research Foundation, JDRF, is a major non-profit leading global organization funding type 1 diabetes research. JDRF's goal is to progressively remove the impact of type 1 diabetes from people's lives until they achieve a world without type 1 diabetes. The show starts at 8:30pm and tickets are $10 ADV/$15 DOS. We love the philanthropy among our friends! Dream Makers of GFWC presents Rocketman - A Tribute to Sir Elton John aka Tokyo Joe's, Columbia, SC based band, alter-ego on February 25th at Koger Center for the Arts in Columbia, SC. Rocketman will be joined by Charlie Morgan, Elton John's drummer for 13 years, on drums. Proceeds will benefit local children's shelters. Also, there will be various auction items at the show to raise money for the children's shelters, including the guitar in this photo, below, courtesy of Bobby Barry and Graph-Itty screen printing. The guitar will be played at the show and bids will be taken at the show. Tickets are available at www.capitoltickets.com. We hope all of you had an amazing holiday season! We sure did. We had the pleasure of working with our good friends, Blue Dogs, again for their 4th Annual Homecoming Show and 28th Anniversary Concert. The two-night event began at an intimate affair at Music Farm Charleston on December 27, 2016 when talented artists and bands from Charleston, SC took to the stage and captivated their audience with their hauntingly beautiful voices, zealous playing, and all around compelling performances that kept half of their veiwers' eyes locked on them, unable to peel their eyes away, and the other half lost in the melody, dancing the night away. At the end of the first night, some of the Blue Dogs and their friends closed out the show on a howling note leaving their Dog People delightfully wagging their tails for the main event the following night. Blue Dogs 4th Annual Homecoming Show & 28th Anniversary Concert took place on December 28th at Charleston Music Hall. As the crowd shuffled into The Hall, all of the bands prepared themselves backstage for the event of the year; all while remembering the great reason for this event in the first place. Every year about 16,000 kids are diagnosed with cancer in the United States alone and cancer is the leading cause of death for kids in the United States. Many of these kids end up at MUSC for treatment. Although, these kids are always welcomed at MUSC for treatment, unfortunately, some are turned away due to not enough rooms or inadequate means to treat them. For this reason, Blue Dogs and friends, along with all of the sponsors who contributed, Press On Fund, and Ear For Music created this event to raise money to build the new MUSC Shawn Jenkins Children's Hospital equipped with more rooms and better technology to give the children who come through the doors a better chance at winning their fight with cancer, and to help fund pediatric cancer research. As the audience members anxiously sat in their seats awaiting for the show to begin, the house lights shut off and the stage lights flashed on as a huge cheer rang across the venue. The main event had officially begun. Throughout the night, bands scurried on and off the stage and the crowd cheered, danced, donated, and drank merrily. Towards the end of the night, backstage in a secret room, we received some amazing and shocking news from an anonymous donor that gave chills to many and even brought tears to a few. Following the jaw-dropping news, Press On Fund agreed to match what was donated, and at approximately 11pm on Wednesday, December 28, 2016, the official check was signed and given to MUSC Shawn Jenkins Children's Hospital for pediatric cancer research for a grand total of $151k plus the other donations that had yet to be counted. Everyone cheered, hugged, and cried! We officially raised 3x more than what we raised last year and we couldn't have done it without the help of all of the bands who performed, all of the sponsors who contributed, all of the donors who donated, Music Farm Charleston, Charleston Music Hall, Press On Fund, MUSC Shawn Jenkins Children's Hospital, 4 Good, Tito's, JEM Marketing/Taco Bell, Blue Dogs, and all of you who have supported us and the Blue Dogs over the years. Thank you from the bottom of our hearts!